Advanced HVAC equipment is designed to provide total comfort, exceptional efficiency, and a long service life. Still, the best-built heat pumps, air conditioners, and furnaces must be installed and serviced by a skilled and experienced contractor to optimize performance and minimize utility costs. At Advanced Cooling Systems, we sell and install quality Trane equipment, which can withstand the punishment from the harsh weather we experience every summer. 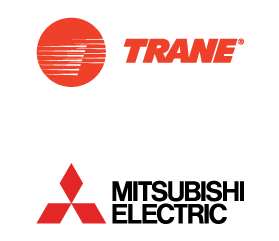 We continue to provide customers in Clearwater and the surrounding area with the best services in the industry, including a 100% customer satisfaction guarantee, a 3-year labor warranty on Trane equipment, a 10-year parts warranty on all Trane models and a 12-year parts and labor warranty on the Trane XV20i. Our goal is to provide the best AC and heating services for a fair and honest price. No matter how high the outdoor temperature may be, we’ll keep your home cool, healthy and energy efficient. If your heat pump ever malfunctions unexpectedly in the middle of summer, you’ll quickly understand the value of partnering with a reputable HVAC contractor. 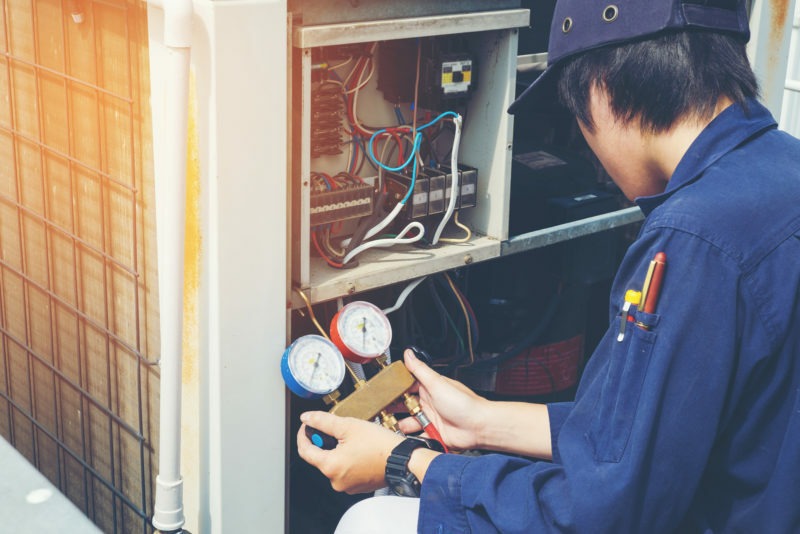 Air conditioners usually break down on the hottest days of the year, so it’s important to call a provider who maintains a full staff of certified and experienced technicians. At Advanced Cooling Systems, we specialize in air conditioning and heating repair, and we know how to fix every brand of equipment. Your phone calls will always be returned promptly, and 24/7 service is available for emergencies. Heat pumps, air conditioners, and furnaces are built to last, but your contractor will have a greater impact on operating costs, comfort and longevity. Each new system we install is engineered so the capacity of the equipment precisely matches your home’s unique heating and cooling requirements. When we finish setting up your new air conditioner, hot spots, uneven temperatures, and stale air pockets will be eliminated. Your family will experience economic comfort in every room in the house. Over time, your ductwork accumulates a variety of unhealthy contaminants that cling to interior surfaces and vital components. We use a combination of motorized brushes and compressed air to dislodge dirt, grime, and other waste products. Routine duct cleaning can improve the quality of the air in your home and extend the life of your equipment. Routine maintenance is essential to keep your heating and cooling system operating at peak efficiency. Preventive maintenance customers can choose from plan options ranging from 1-3 years in duration. Twice a year in the offseason, our technicians clean, test and calibrate your equipment while looking for hidden problems that impact performance and comfort. For all your HVAC needs, call the professionals at Advanced Cooling Systems today. Our representatives can answer all your questions and schedule an appointment for a free system evaluation. We’re not comfortable until you are. Air Conditioning not cooling well on Sunday night so I called ACS Monday morning as a first time customer to get a tech out to check things out. The tech arrived within an hour, cleaned the system and all is well and cool again! Great service, highly recommend! All ACS employees were very professional and arrived and finished the install as scheduled. ACS offers a 3 year warranty on labor – other companies only offered the standard 1 year on labor. I look forward to using ACS for the annual maintenance visits on my new Trane unit. This company is the best in the business! I hired them after perusing 7 air conditioning companies and got the very best deal, best customer service and most excellent job. Andrew is wonderful, on time and goes out of his way. I couldn’t be happier. Must present coupon. Not to be combined with other discounts. Contact Advanced Cooling Systems for complete details. Offer valid until 5/31/2019. Catch up on the latest news at Advanced Cooling Systems, and get tips and tricks to reduce your heating costs, maintain your HVAC systems, and improve your quality of life.